Since 2014, Leesfield Scolaro has represented multiple victims of accidental gun discharge, including by “drop fire” where a loaded firearm discharges upon impact with the floor without the trigger ever being pulled. The increase in accidental gun discharge cases has gone hand-in-hand with the increase in gun sales in the United States – and the numbers are telling. 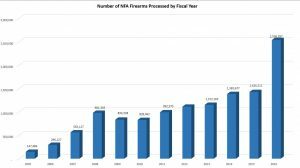 Between 2006 and 2016, the number of firearms processed by the National Firearms Act Branch (NFA) which maintains the National Firearms Registration and Transfer Record has skyrocketed. 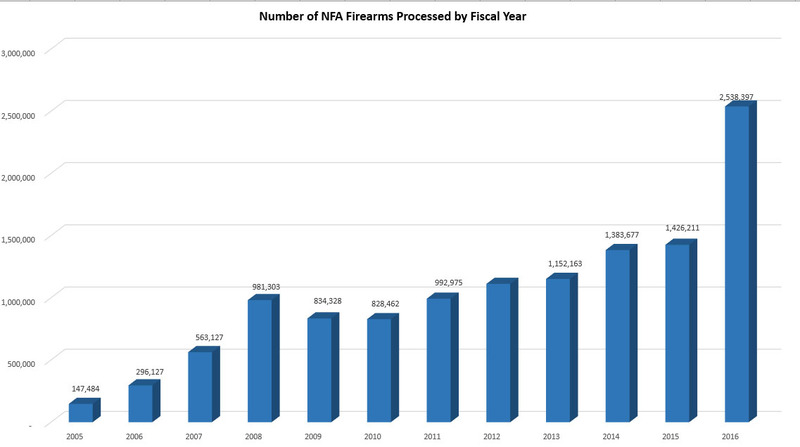 In 2006, the NFA processed 296,127 firearms. In 2016, that number jumped by 850% with 2,538,397 processed firearms. Why has this unprecedented increase in gun sales resulted in the explosion of accidental gun discharge cases in last decade? Two non-mutually exclusive answers: The first is the common sense explanation, which is to state that the more firearms are pushed on the market and stored in homes inevitably results in increased odds of accidental discharge occurring. In parallel, the increase in demand for firearms started a manufacturing race among gun companies to satisfy said demand. In order to keep up with the demand, gun manufacturers were forced to produce more firearms at a moment’s notice, and accelerating production came at a price: gun owners’ safety. The economic model is the same for every industry: when demand increases you must increase production or you may miss the boat. It’s quite simple. Sink or swim. Fit in or fit out. Regardless of the idiom, striking the iron while it’s hot is a motto (and a business strategy) not lost on gun manufacturers. So for the past ten years, the same manufacturing sites increased production by 500% or more, while making little to no changes in quality control and quality assurance. In the end, firearms manufactured within the last 5-10 years were built faster, with cheaper material, under non-optimal/subpar assembly conditions, and poorer quality control with fewer firearms are inspected prior to making it on the market. Attorney Thomas Scolaro is currently litigating drop fire cases against Taurus International, one of which where a young man was shot in the abdomen when his Taurus handgun, secured in its holster, with the safety on, fired after the zipped up pouch which contained the gun fell and hit the floor. Read the Complaint here. This case follows in the footsteps of the much publicized $50 million Class Action settlement entered into by Taurus over the alleged gun defects causing certain Taurus handgun models to discharge when dropped — even when the safety is engaged. Several other personal injury cases are currently pending in Florida against Taurus for the wrongful death and injuries to gun owners and family members in drop fire cases.